So the Yeggies came and went, and as I predicted, I didn't win :) But I did get the opportunity to chat about food with CTV's Morning Live with host, Stacey Brotzel. I haven't been on TV since my Masterchef days, so I hated how I looked and sounded, obviously. Of course, I then had to go and have a look at my old MC video and I was kind of shocked how much my accent had changed and how blimmin' young I looked in those videos. Anyway I'll let you be judge, as the video is over here. Just try not too laugh too hard, will you? So what did she say that made me bawl? Well, she's been getting an allowance of a dollar every Friday, and she has been saving up hard for a backpack toy. Every week she counts her coins and decides how many more she needs for the toy. So she comes up to me a few days ago and said, 'Mom, I've decided not to buy the toy after all'. So I said, 'Why not, Aditi?' She then says to me, 'Mom, cause next Sunday is Mother's Day and I have two more Fridays to go before that... and I want to spend all my coins buying you the best present in the world!' I was stunned and asked 'Did Dad tell you to do this?' and she was like 'No, I just decided this, and of course Dad will be taking me to get you a present, but I want to spend my own money and its going to be the best surprise you ever had'. I think I already got the best present in the world! Which of course, brings back so many memories of my own mum and my relationship with her. My mom and I had a weird relationship with each other. Loving and caring, of course, but she was always a parent, and never slipped up in that ever. She was strict, yet could be reasoned with. She was very much a teacher, and we were probably the best taught and read kids in school at a pretty early age. She made lots of lists and crossed them off regularly. I once caught her writing something on a list that she'd already done, just so she could cross it off, yeah mom, I saw you :) She was generous to a fault, with her time and her efforts. She still is. She loved to read, but had no time. She loved to sew, but had no time. She loved to craft, draw, create, crochet, tat and paint, but had no time. She did not like to cook, yet could produce the most amazing dishes, just because she had grown up in a family that cooked. She uses fistfuls of salt in her cooking, and complained constantly that the food was 'chappe' (bland) at my house. After six months at my place, she went home to India, and complained that the food was too salty. Yep, that's my mom. My mum and I became friends when I became a mother myself. I'll be honest, there were a lot of things she said, that I ignored, because I thought I knew better. Like when the baby's nails needed to be cut, she suggested I gently nip them off. I pooh poohed her, but then the health nurse suggested the exact same thing. That was me told... even though I never admitted to being wrong to her. She guided me through the first three months of my life as a new mum. Kay and I realised how much we depended on her when she went off to London one weekend, and our house kind of fell apart, the baby stunk, and we were both at our wits end, and Kay said, when the heck is she coming back? Its said that some of the best things in the world are the simplest. And nowhere does it ring more true than when it comes to food. And my mum's cooking is simple. I'll be honest, a lot of the recipes on this site can be complex (not technically, but in terms of ingredients and flavour) but when I want to make something for my family, I turn to my mum, the queen of simple, honest, yet tantalisingly flavoured cooking. These prawns were a favourite in my house back in India and here too. The recipe is one of the simplest ones you'll find on this site. 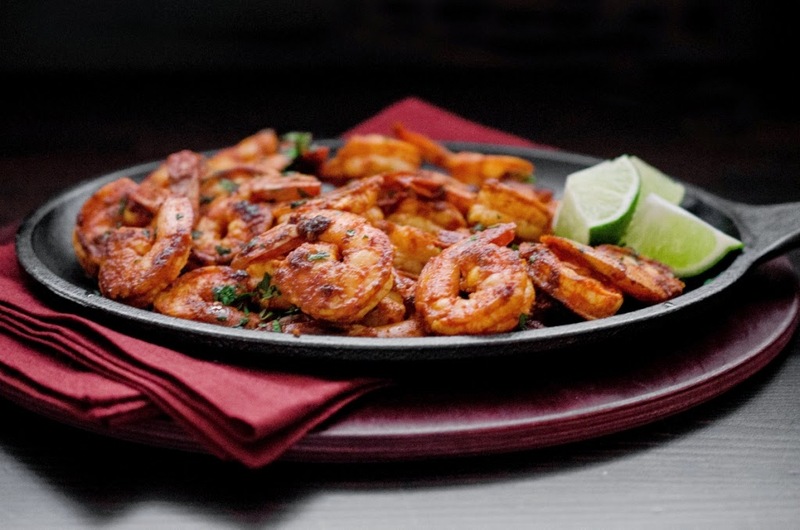 Four/ five ingredients + prawns, yet the flavour will take you straight to the hot, sunny climes of Mangalore, where you can imagine yourself eating these spicy, hot, sour, salty and lightly charred prawns with some rice and hot masala dal, with a pappadum or two on the side. There's no other way to describe this, other than that I have to liken this dish to my mum, simple, elegant, yet complex and deeply memorable. Devein and dry the prawns thoroughly. Whisk together the chilli powder, ground cumin, vinegar and salt. Marinate the prawns in this mixture for about an hour, or longer. 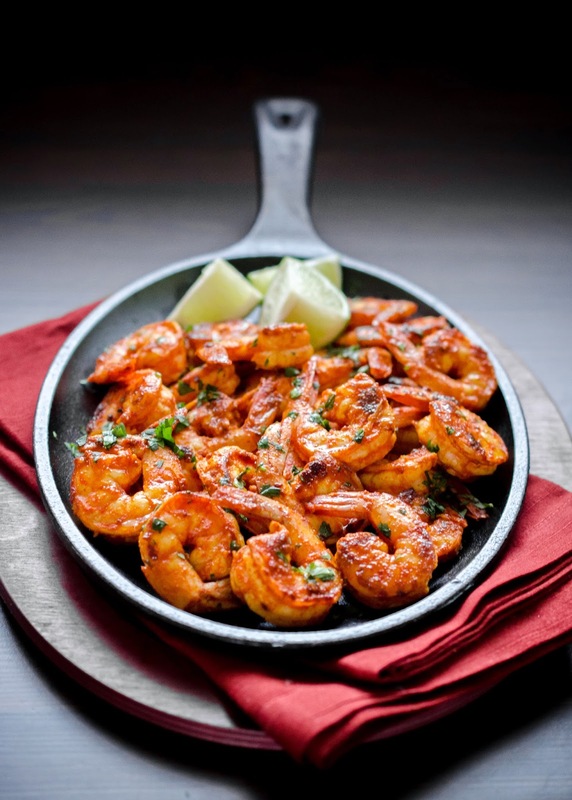 Heat the oil in a heavy cast iron pan, and when hot, add the marinated prawns and fry them on a high heat for a few minutes on each side, until they are charred and just cooked through. Remove from the pan, and sprinkle over some chopped cilantro to serve, if you wish. Getting a nomination for a Yeggie their first year round is a great honor, and that you need to remember. :) I recall feeling the same way a few years ago when I was nominated for a food blog award and didn't win... then last year, in three categories and won none. Didn't expect to. This year, I have had so many issues with my site, as you know - that my posts have been few and way too far in between. The ordeal has really affected my readership and my entire feeling and demeanor toward my site. Love it, but am so angry about what has happened. Trying to be positive, though. And, you did get the best gift even if she is adorably cheeky! Awww how sweet that to buy you a gift with her allowance? cutie! Loved reading about your relationship with your mom. And you looked great in the video!! What a dear little girl you have! And what a dear nod to your Mum! Oh, and the prawns look fab! Your lighting when you photograph is always so wonderful! I am a jealous girl - I try but my photos are always so amateur-ish! Moms! Mine's a lot like that except she didn't mind cooking. Not as if she had much of a choice though. But, this week I was in the kitchen with her (and it's on the blog!) and it was so good to cook together. 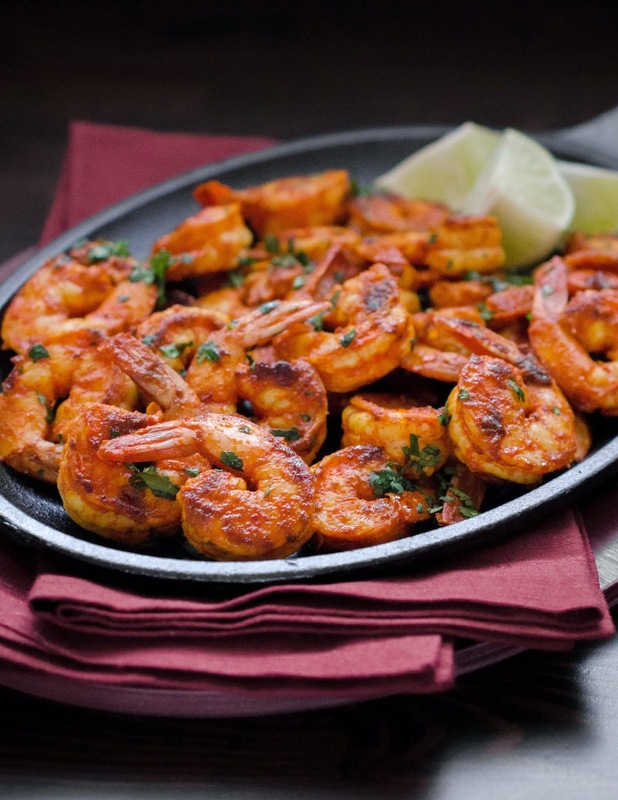 I believe I have eaten these prawns in Mangalore and now I can try to make them at home too. Great recipe, but quick question - does it mean red wine or red wine vinegar? We used red wine the last time and it was great, but I just realized I may have misinterpreted the recipe! Thanks!